Grange has over 60 years of proud and authentic motoring heritage dealing with marque manufacturers to deliver motoring excellence and trust to all our visiting guests. Grange was founded by Frederick Chambers in 1956 with the first business in Brook Street, Brentwood, trading as a Service and Repair Workshop and a Petrol Station. In December 1958, Grange Motors (Brentwood) Ltd was formed to acquire the business founded by Frederick Chambers and the business was gradually built up over the years to represent a number of manufacturers. This included Lotus, Volkswagen, Jaguar, Aston Martin, Jensen, Fiat and Saab. The Grange business was later taken over by his two sons, Colin and Graham Chambers. They expanded Grange by opening up a new business in Welwyn Garden City in 1985, which was a Jaguar and Aston Martin dealership. They further expanded with a brand-new flagship site in Exeter in 1989, which served as a Jaguar and Aston Martin Dealership. Today, Grange is a fast-growing and successful, prestige, franchised new and used vehicle dealership group based in the United Kingdom that operates as part of the Motor Trader Dealer Group of the Year, award-winning, Cambria Automobiles plc. We are very privileged to be a representative of the Aston Martin, Bentley, Jaguar, Lamborghini, Land Rover and McLaren marques across our twelve dealerships, who are each committed to delivering all our guests with an exceptional level of service excellence. We have hundreds of quality used prestige cars available for sale that suit all budgets, with competitive finance available on all our range. Be assured that all our quality used vehicles undergo a comprehensive vehicle safety check to ensure they meet the highest standards. A standard of excellence that has been well refined to delight since we were founded in 1956. On 23 May 2003, Summit Motors Investment Limited, a subsidiary of Sumitomo Corporation of Tokyo, purchased all businesses. This was run by SMIUK along with their other brands Invicta, Doves and Dees, until Cambria Automobiles Holdings Ltd purchased the SMIUK group on 31 December 2007. In 2008, Doves Jaguar Croydon took on the Grange brand to become Grange Jaguar Croydon, along with Swindon Jaguar which became Grange Swindon. 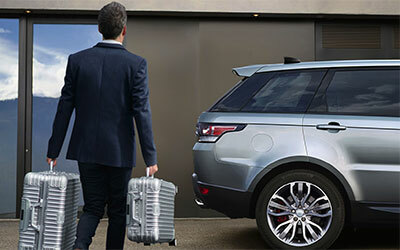 On the 8th January 2016, Cambria completed the acquisition of the Land Rover franchise in Welwyn Garden City from the Jardine Motors Group and has since relocated it to a new state-of-the-art dealership, Land Rover Hatfield and Jaguar Hatfield are open now. In May 2016, Cambria opened its third Aston Martin dealership in Birmingham. Then on the 5th July 2016, Cambria Automobiles plc acquired the trade and assets of Stratstone Jaguar and Land Rover Woodford in South Woodford, North London from Pendragon Premier Limited, a subsidiary of Pendragon PLC. In November 2017, Cambria Automobiles plc agreed on a partnership with luxury brand McLaren to open a dealership in Hatfield. Grange is extremely proud to have been selected to be an authorised dealer for the world-renowned McLaren marque. In December of the same year, we also agreed on a partnership with Bentley. 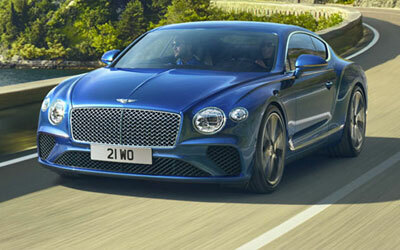 Bentley Chelmsford in Essex and Bentley Tunbridge Wells in Kent are now both open. 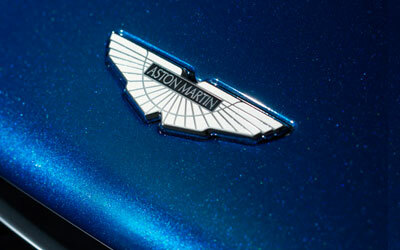 We are again very proud to have been selected to be an authorised dealer for the prestigious Bentley marque. In 2018, our new Lamborghini Chelmsford and Lamborghini Tunbridge Wells dealerships opened. 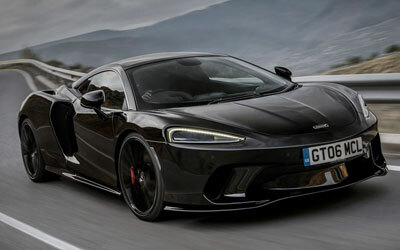 This is a new partnership and Grange is delighted and proud to be an authorised dealer of such a prestige supercar marque. We really look forward to welcoming you to our new state-of-the-art dealerships. Recently, in April 2019 our Aston Martin Welwyn dealership relocated to a new facility in the Hatfield Business Park. Aston Martin Hatfield is a state-of-the-art, modern luxury retail experience where we look forward to welcoming new guests and existing customers soon. Find out more about the Hatfield move here. 1956 - Grange Motors founded by Frederick Chambers in Brentwood, Essex and remained a family run business until May 2003. 1958 - Grange Motors (Brentwood) Ltd was established in December making Grange Motors Britain's largest independently owned Jaguar franchises and one of Britain's largest Aston Martin dealerships. 1985 - Grange Welwyn Garden City established with Jaguar Welwyn and Aston Martin Welwyn dealerships. 1989 - Grange Exeter established with Aston Martin and Jaguar dealerships. 2003 - Acquisition of Grange Motors Ltd by Summit Motors Group Limited (SMIUK). 2007 - Cambria Automobiles Limited acquires Grange Motors Ltd as part of SMIUK deal. 2008 - Grange Jaguar Swindon and Grange Jaguar Croydon formed. 2014 - Cambria Automobiles plc acquires Hadley Green Motors of Barnet to add its first Land Rover dealership and add another Jaguar franchise to its growing business. 2015 - Cambria Automobiles plc acquires the trade and assets of T H White Land Rover in Swindon. 2016 (Jan) - Cambria Automobiles plc acquires Land Rover Welwyn Garden City from Jardine Motors Group. 2016 (May) - Cambria Automobiles plc opens Aston Martin Birmingham. 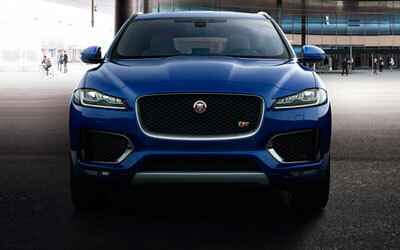 2016 (July) - Cambria Automobiles plc acquires Jaguar Woodford and Land Rover Woodford from Pendragon Premier Limited, a subsidiary of Pendragon plc. 2017 (Nov) - Cambria Automobiles plc agreed on a partnership with luxury brand McLaren to open a dealership in Hatfield in January 2018. 2017 (Dec) - Cambria Automobiles plc agreed on a partnership with luxury brand Bentley to open dealerships, Bentley Chelmsford and Bentley Tunbridge Wells. 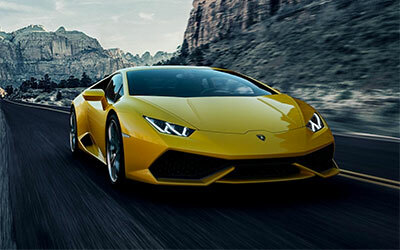 2018 (Jan) - Cambria Automobiles plc agreed on a partnership with the world-renowned Lamborghini marque to open a new dealership in Chelmsford. Lamborghini Chelmsford is open now. 2018 (Aug) - Cambria Automobiles plc opened its second Lamborghini dealership. Lamborghini Tunbridge Wells is open now. 2018 (Dec) - Cambria Automobiles plc opened its new 'Arch Concept' Grange Land Rover Hatfield and Grange Jaguar Hatfield dealerships. 2019 (Jan) - Cambria Automobiles plc opened its new Grange Specialist Cars Swindon dealership. 2019 (Apr) - Cambria Automobiles plc opened its new state-of-the-art Grange Aston Martin Hatfield dealership.